Have you ever wondered why do some leaders thrive while others flounder? Have you ever wondered why do some leaders thrive while others flounder? Is it the people approach or the goals approach that makes them successful? What would have been their preferred leadership style - creative or authoritative? Do you know your leadership style and is it the right one? Whether a tech CEO or World Leader, leadership style is very individualist. Every one develops his/her own style depending upon the context in which he /she operates. Everyone has his or her unique approach in leading people which may be effective in some situations or may be rendered ineffective under certain circumstances. Nevertheless, success of a leader depends on leaders’ styles mesh with their teams and organizational cultures. 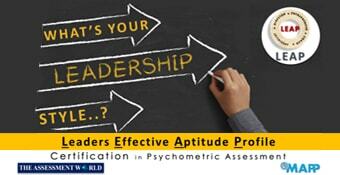 The objective of this program is to give you a wide perspective on different leadership styles. Such an awareness of personal leadership style and its implications is imperative to develop superior leadership skills and flex leadership techniques according to situational demands. Understanding the leadership styles helps the participants to set the right tone for the organization and inspire other employees to follow their words and actions. The LEAP Leadership Style Assessment is designed and constructed on the scientific foundation to see what kind of leadership style you have! It gives you immediate feedback about your style — potential strengths, limitations, and blind spots — and pinpoints the settings where you’ll be most and least effective. Managers who want to enhance their leadership skills development in order to achieve outstanding results. I employ assessments for interventions and it helped me a lot to make my participants understand their true potentials and abilities. These are a set of instruments that enable them to look inward, deeply and progressively for their future growth. I find them easy to explain and connect with practical aspects quickly. Simple, Sensible, Sophisticated and Systematic. 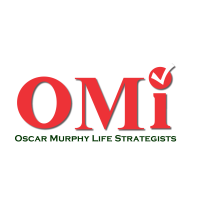 Thank you Oscar Murphy.